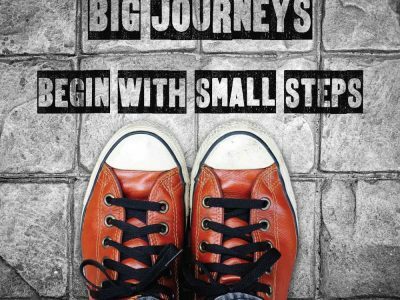 Epilepsy Queensland is coming to Mackay from 27-28 February! 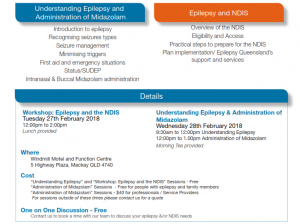 Epilepsy Queensland extends an invitation to people with epilepsy and their families, disability support workers, child care workers, teachers, nurses and medical/allied health professionals to attend workshops on “Understanding Epilepsy” – an education session on epilepsy; “Administration of Midazolam” – an emergency medication and “Epilepsy & the NDIS”. 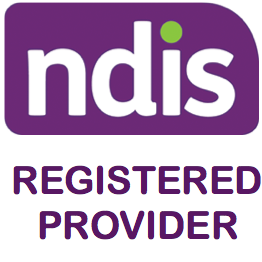 Email services@epilepsyqueensland.com.au for a registration form!